Recorded USA May 24th, 25th and August 7th 2016. 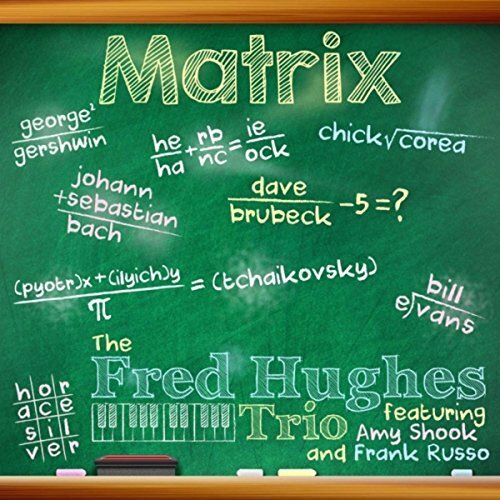 The Fred Hughes Trio? No I’ve never heard of them either but on the evidence of this very likeable disc they deserve a wider audience than they appear to have hitherto enjoyed. It seems that they are a time served, gig hardened unit active on the east coast of the United States and popular in the jazz clubs and festivals around Washington DC where they perform as accompanists and as a stand -alone trio with an impressive command of the jazz repertoire. This much is evidenced by the selection of tunes performed in this recording which includes pieces by Bill Evans, Dave Brubeck, Herbie Hancock and Chick Corea as well a Gershwin standard and a couple of classical crossovers in the Loussier manner. Hughes re-interprets these pieces with respect, taking care not to re-invent them out of all recognition by imposing any idiosyncratic quirkiness and whilst this might not impress those seeking a cutting edge experience I’ve no doubt his approach to the music goes down very well with the type of audience he finds at a typical club gig. His partners operate in a similar workmanlike mode providing solid and mobile support ; Ms Shook has a lovely warm, fulsome tone and contributes some well thought out solos whilst Russo, on drums, lays down a steady groove and indulges in crisp interplay with the leader in the opening `I Got Rhythm` . All are matched in competence and an innate feeling for the music which makes for a very pleasant recital that would serve well as an antidote to some of the more introspective musings that are presented as piano jazz these days.